Home » Windows » What Is Low-E Glazing? Windows play a huge role in keeping your home energy-efficient. Regular dual-pane windows do very little in maintaining your insulation or keeping the sun’s heat from penetrating your home. During the summer, your air conditioning unit will have to work harder just to keep your indoor environment cool, and the extra energy it consumes costs you more in your utility bills. By choosing an energy-efficient window replacement, you could save more than 25% annually on your heating and cooling costs. At Renewal by Andersen® of Houston, we are committed to providing you with energy-saving solutions through our High-Performance™ Low-E4® glass panels. Let our specialists explain the science behind our best-in-class glazing. Different objects have different limits on how much heat they can absorb. As they continually get heated, they radiate or “emit” some of the extra heat back to their surroundings. Emissivity, or simply E, is a measure of how much an object radiates its absorbed heat. The higher an object’s emissivity is, the more heat it allows to pass through its molecules, and the hotter its surrounding area will feel. So, if you’re looking for energy-efficient windows, you want to choose the ones with the lowest E numbers. When it comes to our window installation services, our products come standard with our exclusive High-Performance Low-E4 coating, giving our windows some of the best energy efficiency ratings compared to other replacement windows. In addition, we also offer our advanced High-Performance Low-E4 SmartSun™ glass, that further builds upon our already impressive specifications. Enjoy up to 56% more efficiency in the summer and up to 47% in the winter with our exclusive Low-E glass offerings and save some money on your energy bills. 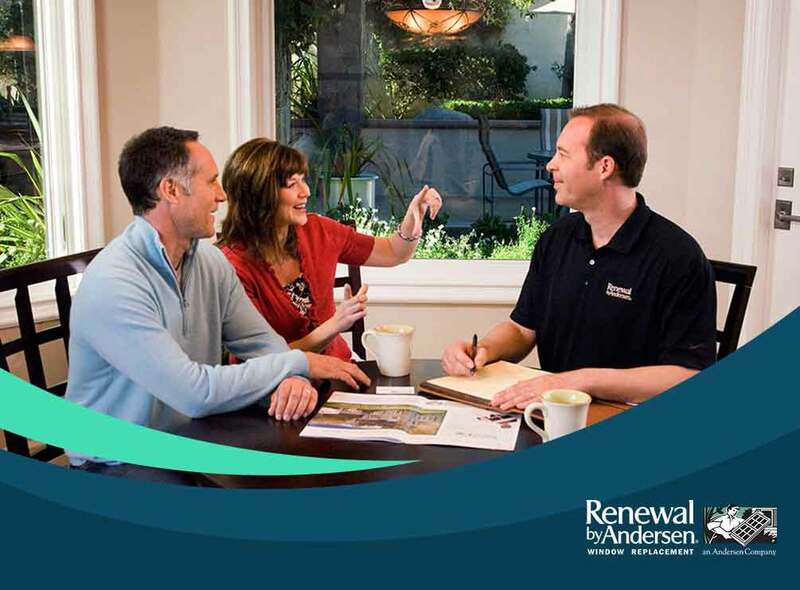 Get our energy-efficient picture, sliding or casement windows as well as patio doors at Renewal by Andersen of Houston. Give us a call at (281) 547-6177, or fill out our online contact form to schedule a free in-home consultation and request a no-obligation quote today. We serve homeowners in Katy, TX, and in other parts of Texas.